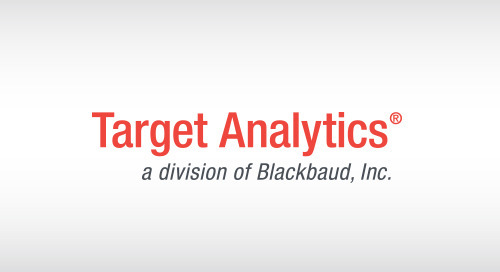 Target Analytics Affluence Insight™ is a donor segmentation and research tool, enabling the identification of annual, mid-level and major gift prospects. Designed for nonprofits, researchers and direct marketers, it provides detailed financial attributes and an affluence-driven segmentation system that combines giving behavior, demographics and financial information for high-value prospect identification. Affluence Insight offers the ability to use AI-powered analytics to identify high-value donor prospects and predict a prospect’s likelihood to give with unparalleled accuracy.